From the New Zealand historical record covering the late 19th century it is apparent that residents’ groups had their roots in direct involvement in the election of Councillors and lobbying on behalf of property owners. This tradition continues today (many such associations still organise candidates meetings in the lead-up to local and general elections) and is mirrored somewhat in the academic literature. Residents’ groups stretch back at least to 1865 when a report made mention of resolutions the [Christchurch or Canterbury] Ratepayers’ Association would “pass in the Town Hall” (Press, 1865). It was a time of ratepayers organising together to battle the authorities with a notice in the Daily Southern Cross newspaper (the precursor to the NZ Herald) calling for a meeting of the [Auckland] Ratepayer’s Association to “petition the General Assembly against passing the Water Loan Bill” (Daily Southern Cross, 1872). The Grey River Argus (1875) reported on the perceived lack of success of the Wellington ratepayers’ association (“a sort of imitation of the Nelson Reform League”) due to a certain level of apathy of the ratepayers of that city. In 1876 the Evening Post made blatant accusations against a certain Mr E. T. Gillon of “misleading the ratepayers to the real state of the Corporation [City Council] affairs”. The issue was over the auditing of the Council’s finances and reported that it was “very desirable” that the upcoming meeting of the local ratepayers’ association be well attended. 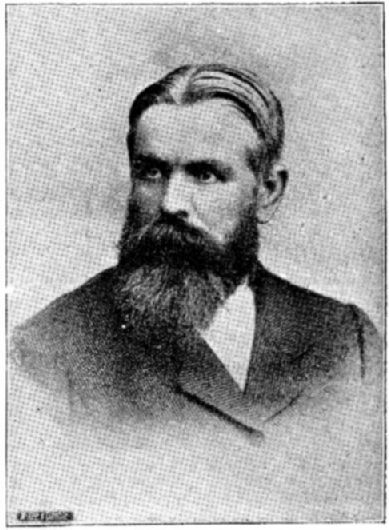 Gillon was a Wellington provincial councillor (Cyclopedia Company Limited, 1897) and – bizarrely – editor of the Evening Post newspaper at the time this report was published, as reported in his obituary in the Otago Witness (1896). At least nobody could argue about the editorial independence of newspapers in those days! 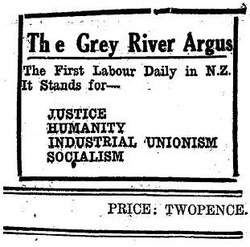 Early records of meetings from residents’ groups in New Zealand were reported in major metropolitan newspapers of the day. The Daily Southern Cross (1866) made mention that the [Auckland] Ratepayers’ Association meeting had discussed the urgent need to drain the Market Reserve (to prevent the “ravages of typhus”), while the Evening Post (1875) carried a report that the monthly meeting of the Wellington Ratepayers’ Protection Association was held with 11 people present. Discussion centred around the application of rating income and the issue of inequity, which is significant considering both remain major issues 137 years later. Also of present-day relevance was the suggestion for implementing water meters and the safety of public areas. A Star (1879) article notes a general meeting of the Christchurch Ratepayers’ Association held in Manchester Street with 60 people in attendance (note also here, the interesting editorial counterpoint in the same issue of the paper). 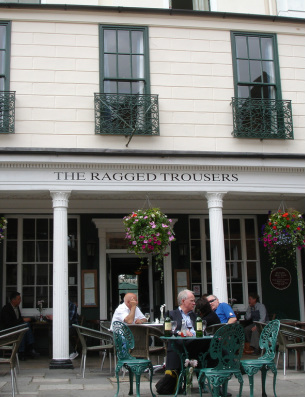 The article hinted at the heritage of this type of organisation, noting the association had been established based on a similar society in the English town of Tunbridge Wells, pointing to the colonial and class-based roots of residents’ groups in New Zealand. The meeting focused on who would be put forward as nominees for upcoming City Council elections. This particular association (all men, let it be noted!) were made up of 221 land owners of the area, each of whom had a number of votes (790 in total) to elect the Council. However, the members stated they did not intend to lobby the Council, nor interfere with its operation, but to bring the “ratepayers together for the purpose of discussing public affairs”. Later discussion centred around the choosing of a Mayor and the “immorality” in the way elections were undertaken. Of interest is the report that the members did not intend the association to “die a natural death” post-election, but rather continue a be a “useful organ for many purposes”, a template for many residents’ groups to come. Reference was also made to the work of the Tunbridge Wells association who had raised funds to provide things of benefit to their area but which could not be provided by the Council, such as a “very superior band of music”, a new pump room and walkways. Three days after that meeting another regional newspaper reported on George Grey’s visit to Canterbury and the elections underway there. It notes the formation of a ratepayers’ association who were “determined that the municipal affairs of Christchurch never again fall into the hands of the class who now go out of office” (Otago Daily Times, 1879). The earliest record of public use of the term residents’ association is an Evening Post (1899) article reporting the formation of a “Ratepayers’ and Residents’ Association for Kilbirnie Ward”. A residents’ group is still operational in that area today. Residents’ groups feature prominently in the New Zealand media today. A search of Fairfax, NZ Herald, Scoop and Radio New Zealand in the ten years leading up to the end of 2011 showed 6,883 reports that mentioned the terms “residents’ association”, “ratepayers’ association”, “progressive association”, “community council” and “residents’ group”. The reports include opposition to property developments, criticism of local authorities, calls for investigations and enquiries (particularly of the local government sector), and providing a forum for community comment (such as hosting candidate meetings) around local body elections. The number of mentions in this sample of the news media (on average 18 per week) over the past decade speaks to the high level of activity of these groups in New Zealand society. In general, community has undergone stages of change in relation to social geopolitical changes at a global level and this has influenced neighbourhood associations (of which residents’ groups can be considered a sub-set). In the early days - we're talking the 1800's here - women were not allowed to own property - nor were they allowed to vote. In any case, to vote in a local government election you needed to own property, so early residents' groups were landed gentlemen who came together to influence who got onto their local Council. The Property Perfection Act 1860, Municipal Corporations Act 1867 and Electoral Act 1893 changed much of that. Soon after, New Zealand boasted the first ever female Mayor in the British Empire! It has been argued that in terms of community development in this country there are three distinct eras: 1935 – 1970, 1970-2002, and 2003 onward. From the mid 1930s New Zealand had developed as a welfare state, with central government taking a hands-on role in community well-being. This model started to become less efficacious in the 1960s, which was “a decade of global cultural change that challenged the legitimacy of State actions on behalf of citizens – particularly as social change leader” and reflected in New Zealand in the Vietnam War protests, the feminist movement and an awakening of cultural independence by both Māori and Polynesian communities, leading to a line in the sand at 1970 when the country moved from developing community in a welfare-state paradigm to a socio-economic paradigm. This was the beginning of a change in local government’s involvement in community, with special community units of local authorities springing up in response to the “need to find local solutions to local issues”. The third era started with the change to the system of local government in New Zealand at the end of 2002, been hailed as significant in terms of the interface between local authorities and community. One could rightly argue that another era of change has occurred since 2002: the transformation of our society and culture due to technology. Information is now more readily and easily available than ever before, the nature of journalism has shifted from traditional paper and video to online citizen journalism and social media. People are connected more than ever before - but not in the same ways as they used to be. Recent research shows 12% of residents' groups existing today were formed prior to 1970, 29% were started between 1970 and 2002 and almost 60% of groups were formed after changes to the Local Government Act in 2002. Whilst most are still focused on community and a sense of place, some also serve demographic communities (such as in rest homes, or ethnicities) and some are started by commercial developers in response to requirements from Councils (bodies corporate).